This page contains reports by topic that gather information from the most relevant data sources. Some of them refer to the questionnaire of the Country Policy and Institutional Assessment (CPIA) made by the World Bank to describe the progress of countries on strengthening the quality of their policies and institutions. 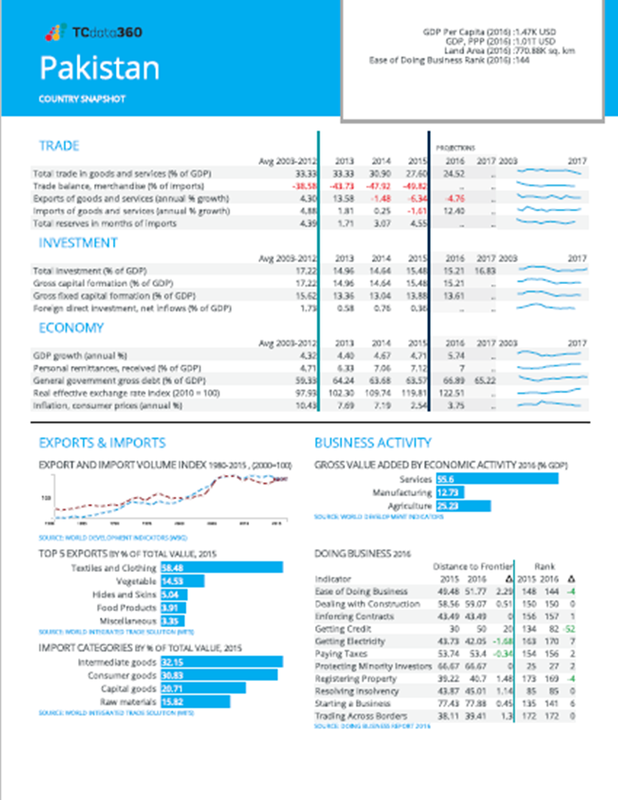 This country snapshot covers 80+ indicators in trade, investment, economy, business, and private sector, with a summary of the World Bank Group project portfolio. 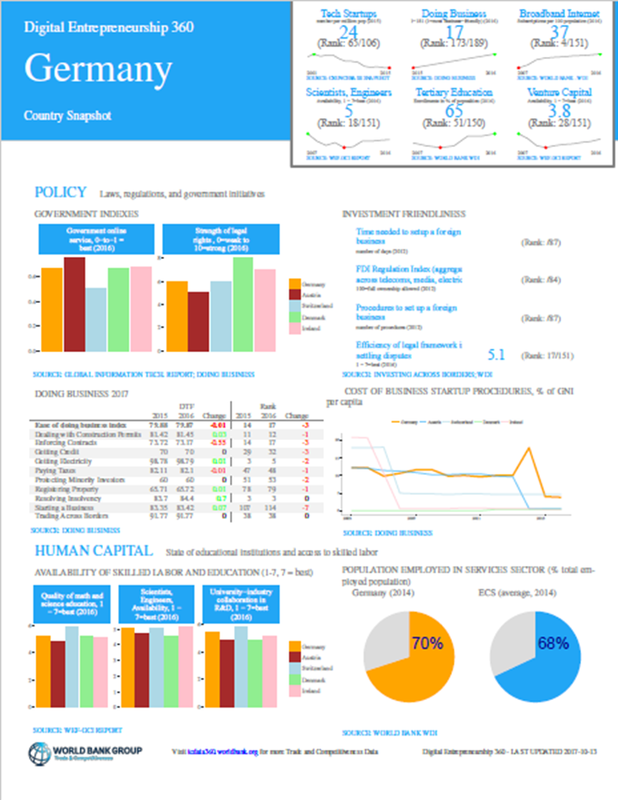 This is an easy-to-access, comprehensive overview of country data on major gender statistics featuring 27 key indicators for 200+ countries. 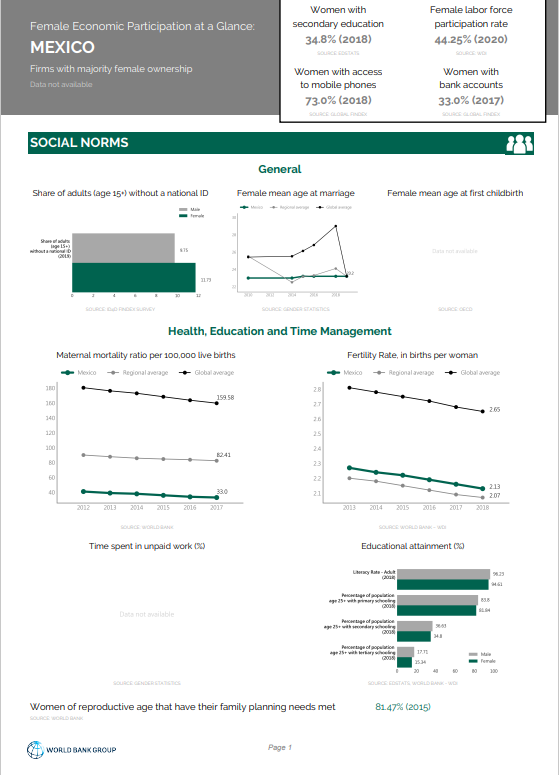 For more gender-related data, please see the Gender Data Portal. 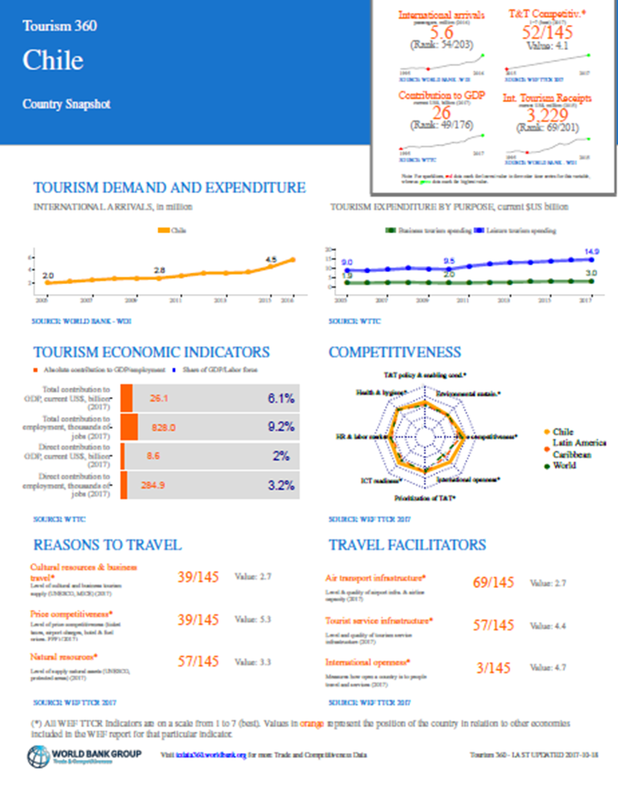 This country snapshot presents an overview of the tourism sector in World Bank Group client countries according to key performance indicators. This report presents 60+ indicators for entrepreneurship ecosystems across six domains: financing, skills, markets, culture, infrastructure, and institutional support. 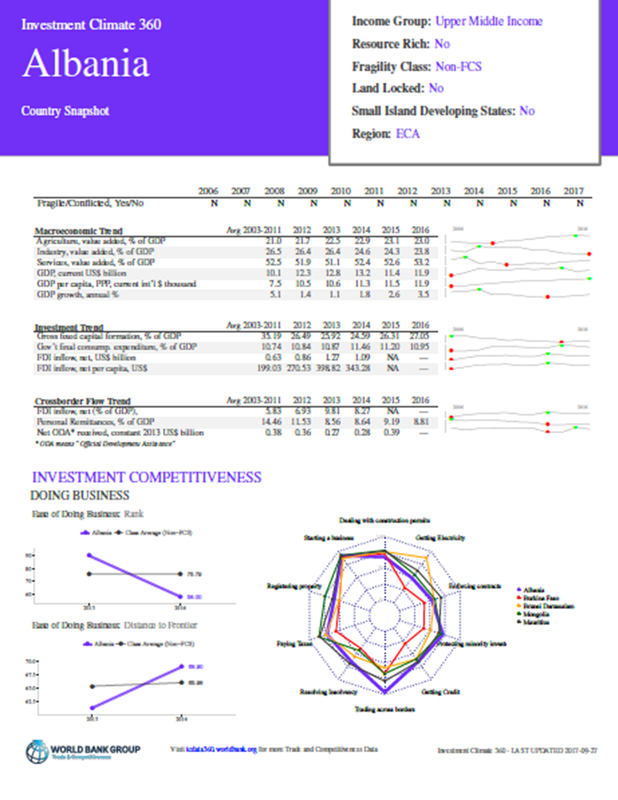 This report gives a brief scan of macro-economic trends, investment competitiveness, and institutional trends in FCS countries with comparative data for over 190 countries.